The Kingfisher can be spotted sitting on low hanging branches quietly over the water. It will suddenly dive in to catch a small fish. Breeding Kingfishers go to lowland watercourses and lakes that have suitable banks for burrowing nests and shallow edges for feeding. Males and females are similar in size and colouring apart from their bills. Males have an entirely black bill, females have an orangey-red patch at the base. They have striking mix of its bright-blue back and metallic copper breast. 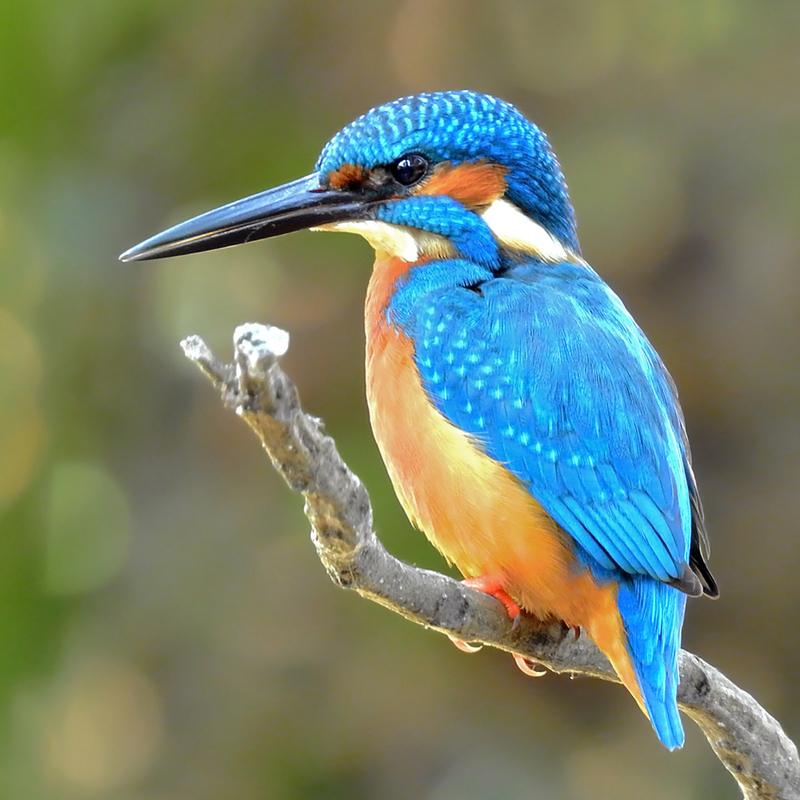 The Kingfisher is highly territorial; since it must eat around 60% of its body weight each day, it is essential to have control of a suitable stretch of river. It is solitary for most of the year, roosting alone in heavy cover. If another kingfisher enters its territory, both birds display from perches, and fights may occur, in which a bird will grab the other’s beak and try to hold it under water. Pairs form in the autumn but each bird retains a separate territory. The nest is in a burrow excavated by both birds in a low vertical riverbank, or sometimes a quarry or other cutting. The straight, gently inclining burrow is normally 60–90 cm (24–35 in) long and ends in an enlarged chamber. The nest cavity is unlined but soon accumulates a litter of fish remains. The Kingfisher typically lays two to ten glossy white eggs. Have you spotted a kingfisher on your local river? We want to hear from you! If you have photos or stories, please send them to riverlife@forthriverstrust.org.